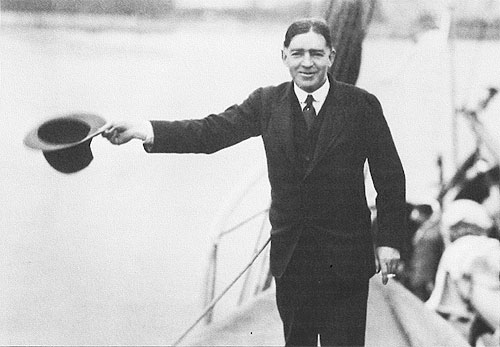 [Upon Shackleton’s return to England and the Great War, reception was markedly… subdued. Even, and perhaps especially after, the war’s end, his speaking engagements were sparsely attended. Survival was not a popular theme after the devastation of WWI; death took narrative precedence for decades. The story of the Endurance held interest for only a relative few until the very end of the 20th century, when audiences began to return in droves, hungry for more books, films, websites… even reenactments (including, of course, @EShackleton). A crossing of South Georgia Island was not attempted again until 1954, when the South Georgia Survey was completed. The 1955–58 Commonwealth Trans-Antarctic Expedition (CTAE) was a Commonwealth-sponsored expedition that successfully completed the first overland crossing of Antarctica, via the South Pole. It was [also] the first expedition to reach the South Pole overland for 46 years, preceded only by Amundsen’s and Scott’s respective parties in 1911 and 1912. 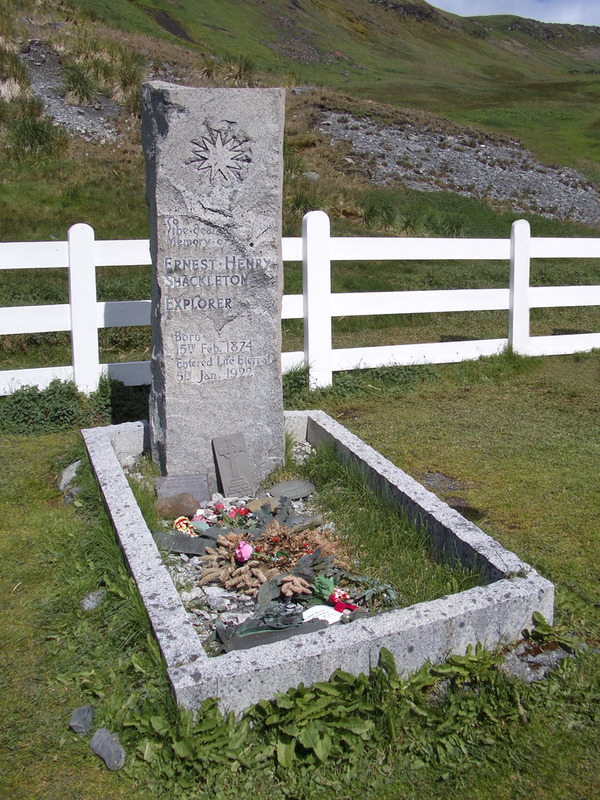 […] The second crossing of the continent did not happen until 1981. There’s no shortage of Shackleton! See the Resources tab on this website for what I recommend. Blackboro: On return from the Antarctic, Blackborow spent three months in a hospital in Punta Arenas, Chile, recovering from the frostbite damage sustained to his left foot. He volunteered for war service in the Royal Navy, but was turned down due to the amputation of the toes of his left foot. He was accepted by the Merchant Navy where he served until 1919. Crean: Once again on his return to England, Crean resumed his naval career at Chatham. For the rest of the First World War, Crean served in the Royal Navy aboard HMS Colleen. In 1927 Tom opened a pub in Annascaul, “The South Pole Inn” (still in business today). Orde-Lees: On return to England after the expedition, he served in the Balloon Service and saw action on the Western front. With Shackleton’s help, he joined the Royal Flying Corps (R.F.C.) and was a pioneering figure in parachute jumping. On one occasion, he jumped off the top of Tower Bridge into the River Thames, only about 160 or so feet below to convince the British Military of the usefulness of the parachute. Although this was just a stunt, it seemed to do the trick and the R.F.C. formed a parachute division with Orde-Lees in command. McNeish: After the expedition McNish returned to the Merchant Navy and worked on various ships. He often complained that the extreme cold and soaking conditions he had experienced in the boat journey on the James Caird had left him so that his bones permanently ached. Other people who knew him say that he would often refuse to shake hands because of the pain. Hurley: After the Expedition, Hurley became a noted army photographer in the First World War, then became the go-to photographer for expeditions to the tropic regions. He returned to the Antarctic in 1929. Marston: On return from the expedition Marston taught at Bedales school in Petersfield from 1918 to 1922. In 1925, he joined the Rural Industries Bureau (RIB) as Handicrafts Adviser, having always been a lover rural life and countryside matters, he was appointed Assistant Director in 1931 and Director in 1934. 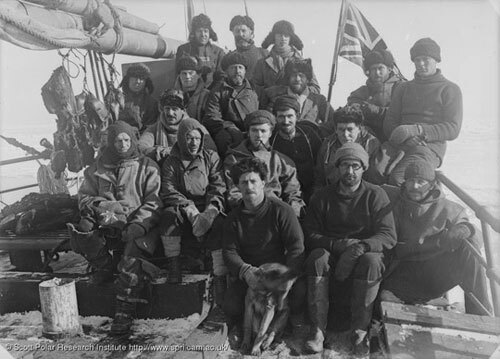 A close reporting of the fate of the Ross Sea Party has been outside the scope of this narration, as Shackleton had no way of receiving news from them until some of his party had reached South Georgia, the telegraph office, and news, in 1916. 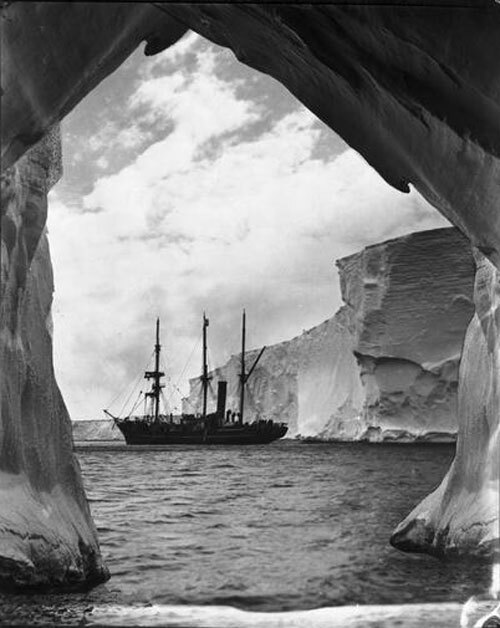 The Aurora was the second ship of the Expedition, meant to sail to the Ross Sea on the other side of the continent, and to cache depots of supplies at calculated intervals between the Pole and the sea on that side. 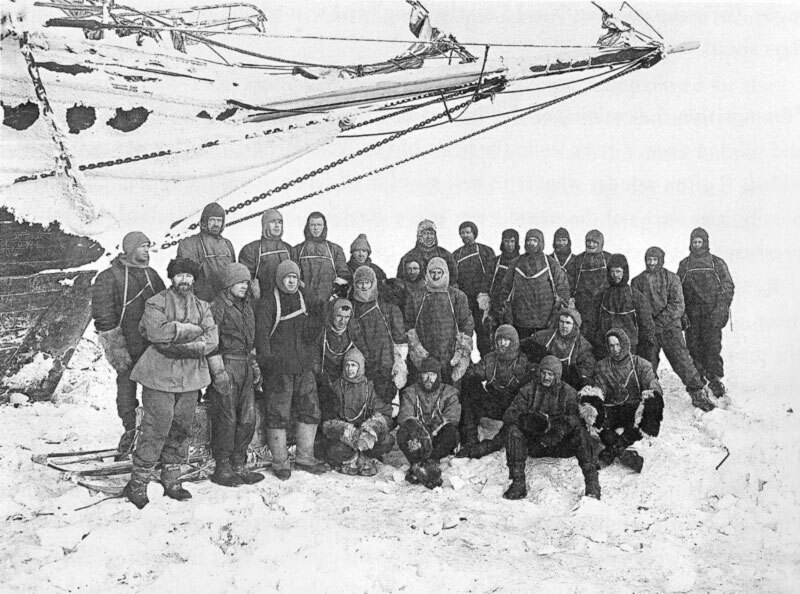 Thus (in the original plan) when the Endurance landed at Vahsel Bay and Shackleton’s shore party hiked to the Pole and past, they would only need to sledge supplies for half the voyage, and would retrieve the depots in sequence as they completed the full crossing. The trans-Antarctic crossing did not happen, but the Aurora fulfilled her directive, and the sledging party laid depots as instructed well inland. But on their return to the shore, they found that the Aurora had been blown out to sea with most of the men, and stranded those remaining on the far side of the continent. The ship was solidly encased in a sturdy floe, which had detached from the pack and been blown far out to sea by a blizzard, and there drifted helplessly for almost 10 months. Finally it broke free of the floe and managed to limp back to New Zealand. The shore party believed the Aurora lost at sea, and, after a second depot-laying journey, were themselves split between Hut Point and Cape Evans. Of that second foray, Shackleton wrote in his memoir South, “No more remarkable story of human endeavour has been revealed than the tale of that long march.” The survivors occupied themselves with their scientific studies, and settled in to wait for rescue from land or sea. So after Shackleton’s return from Elephant Island on the Yelcho, and having arranged passage for the crew back to England and the war, he made his way with Worsley to San Francisco and from there straight to New Zealand, that he might join the Aurora before she left on the rescue mission; aboard the Aurora they reached McMurdo Sound and Cape Evans on 10 January 1917. There they found seven of their comrades in an even more fraught state than those on Elephant Island—although they did have a hut and supplies, they had not seen or heard anything from the outside world since December 1914. Three of the party had perished during that time: Arnold Spencer-Smith of scurvy after the second depot-laying journey, and Aeneas Mackintosh and Victor Hayward while attempting to cross from Hut Point to Cape Evans over thin ice. When Shackleton and Worsley arrived they searched for another week for some trace of Mackintosh and Hayward, but found nothing. Spencer-Smith was interred in the ice. Finally they headed back to New Zealand with the ten survivors—seven men and three dogs, whom the men credited with their survival. Only when this was accomplished did Shackleton make his way, via Australia, back to England and the ongoing world war. It was 1917. And in chapters of South, Shackleton (Huntford), and other books and materials listed on the Resources page. Shall change, shall become first a peace out of pain.